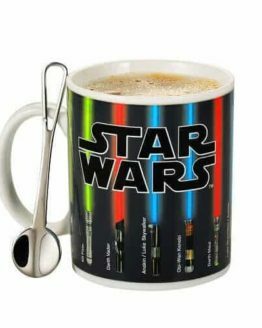 You may find that space travel can get a little chilly in the morning so wearing a robe might help you out. 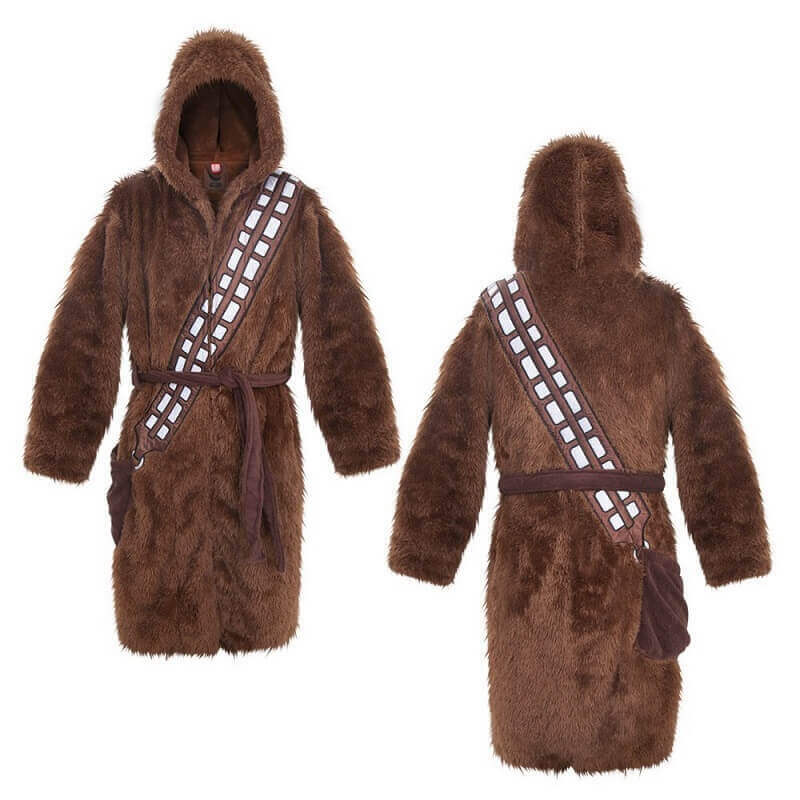 So to stay warm why not wear this great Star Wars inspired Chewbacca robe. 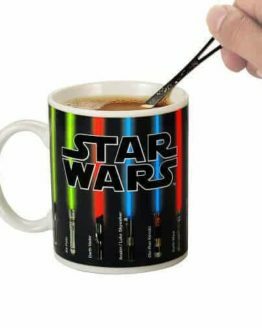 This is perfect for any fan of the classic movies or co-pilot of a spaceship. Transform yourself into Chewbacca (but without the smell) with this warm and soft Star Wars Chewbacca Bathrobe. 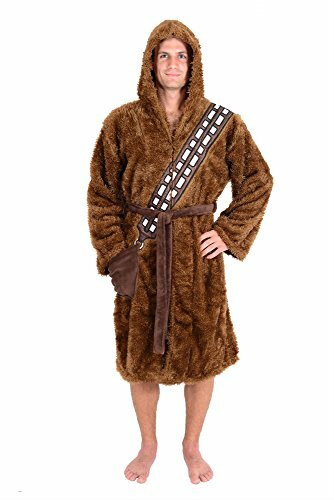 This bathrobe is designed to look and feel just like Chewie’s wooly fur. 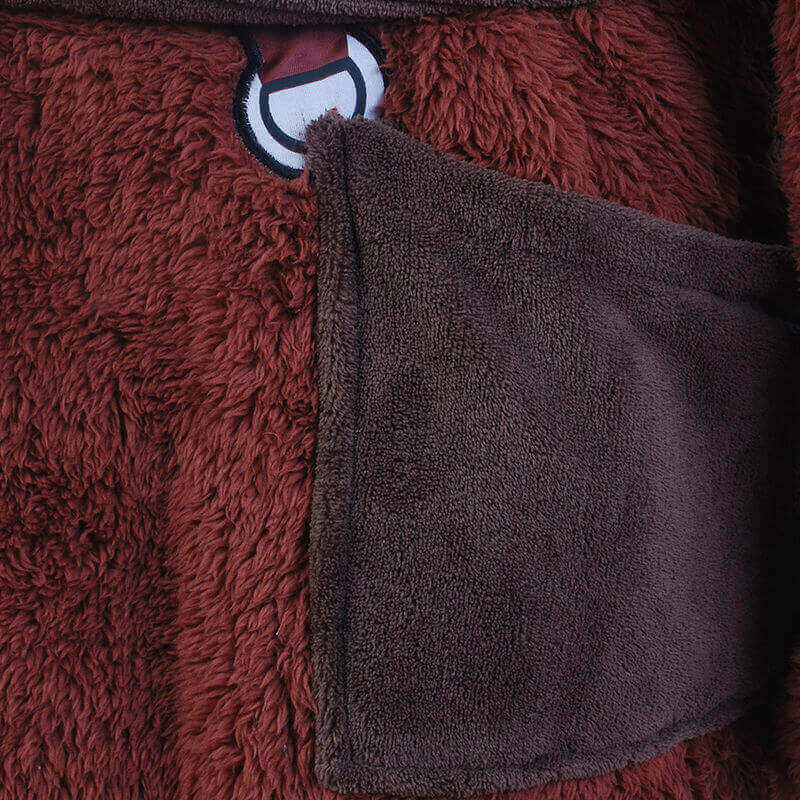 The first thing you’ll notice when you slip into this robe is how soft and comfortable it is. 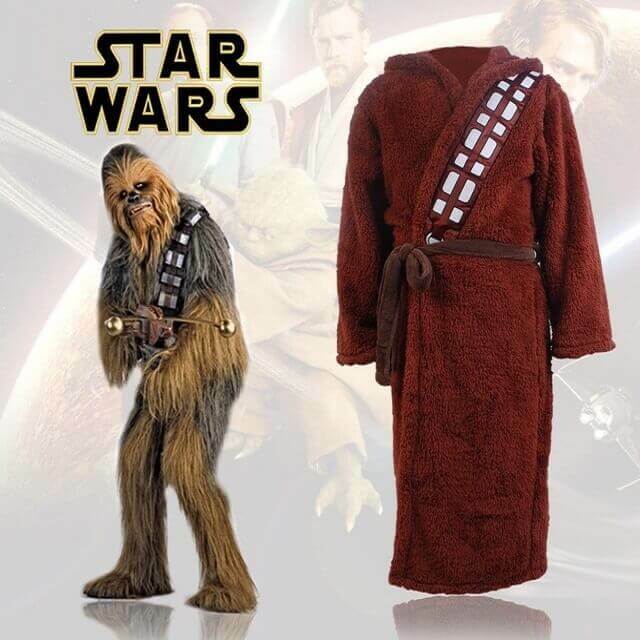 With its oversized hood and sleeves, you can don this bathrobe when you’re sleepy and yawn in a Wookie-esque fashion. 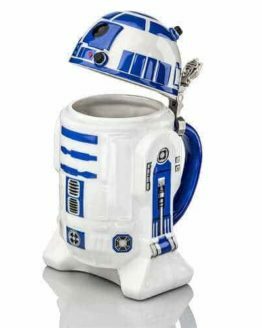 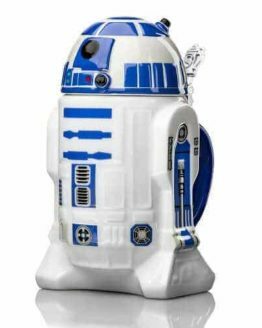 It is made complete with Chewbacca’s signature utility belt which is a pouch that’s great for storing a remote control or snacks. 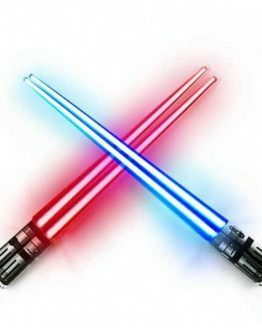 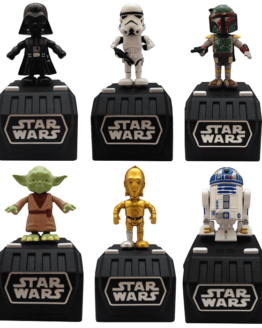 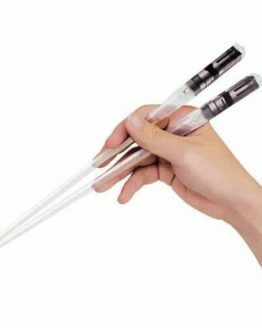 This is a great gift for any Star Wars fan to keep clean and dry off after a nice shower. 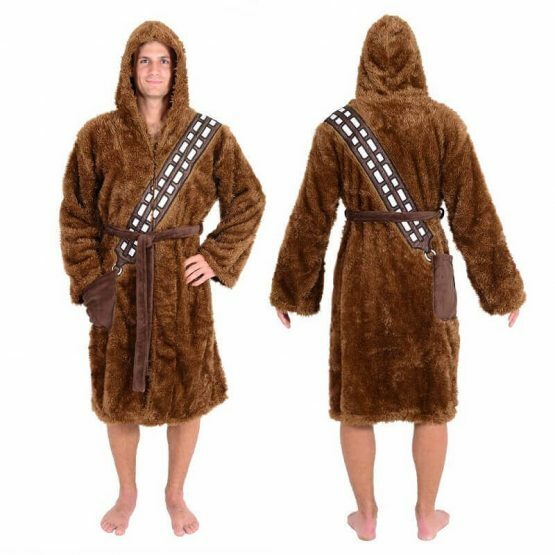 The Chewbacca Robe is just what every Jedi needs to keep warm after a shower or on a lazy weekend. 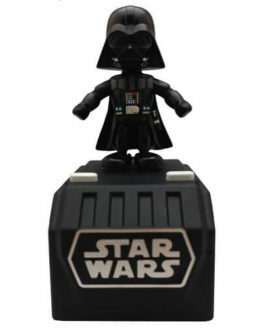 Chewie rules!